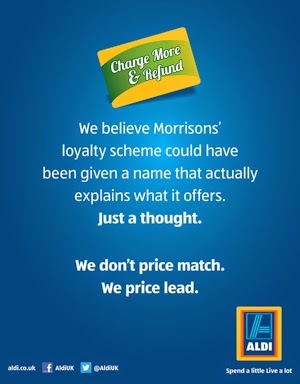 Aldi have followed Lidl's lead and produced a campaign that exposes Morrisons so-called loyalty scheme. Whilst this execution doesn't display the same brutality and intelligence of its fellow discounter, it does still go for the jugular and take the high ground of price leadership. I think it's a really healthy and refreshing thing to see a company take such a direct and no-holds barred approach to communication. 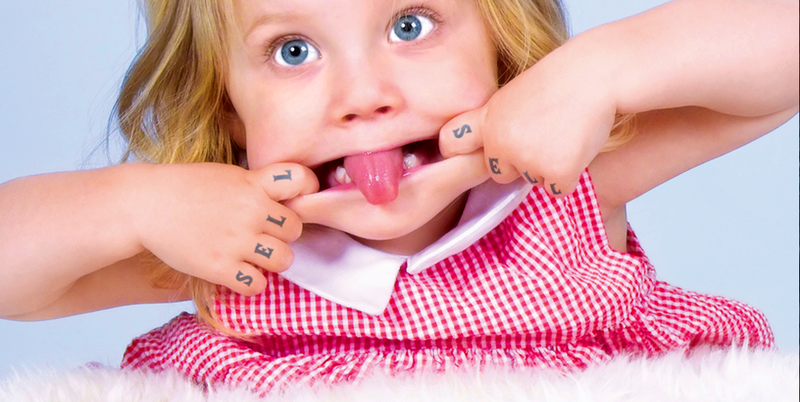 There's way too many ads around where you struggle to find even the remotest expression of a competitive advantage and too many ads bamboozling people with marketing gimmickry. Hats off to anyone bold enough to run advertising counter to this trend and bullish enough to publicly tackle a competitor head on. Morrisons taking a public beating. Let me grab my popcorn.